Filipino "Flash" Nonito Donaire Jr. will comeback in ring on September 23, 2017 against the top Mexican fighter Ruben Garcia Hernandez for the vacant WBC Silver Featherweight Title. Donaire who has'nt fought anybody for almost 10 months will now comeback and will try to regain what he had in almost 10 years. He became a 4 division world champion and was included in the top 10 pound 4 pound in the world. 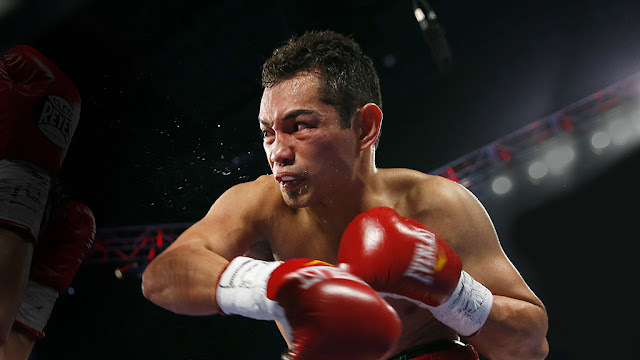 Donaire who still has the power is very excited in his comeback and wants biggest fight possible in his next fight. The 34 years old Filipino boxer was lost to Jessie Magdaleno in his last fight via unanimous decision. On the otherhand, Ruben Garcia Hernandez is a tough Mexican fighter with a record of 22W(9KO)-2L-1D. Only 24 years of age and won his last 8 fights via impressive decision. Ruben Garcia Hernandez only defeated by top caliber boxer including Randy Caballero in 2016 via KO and Rafael Rivera in 2016 via decision. The fight will be held in San Antonio, Texas, USA.